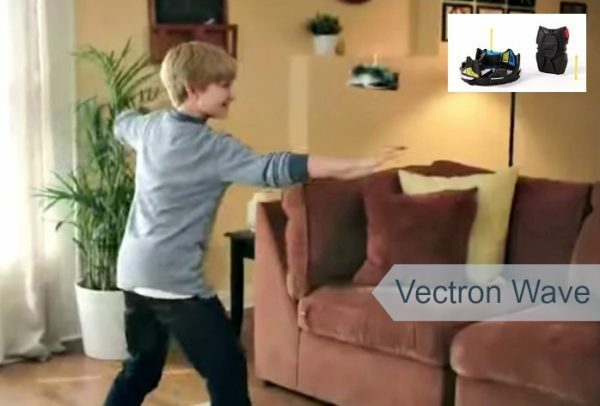 The Vectron Wave is the UFO that you control — with your hands, feet, body and even the remote controller! Air Hogs Vectron Wave flyer is the perfect RC vehicle for kids ages 8 to 13, and also kids ages 13-80 (lol). Let’s face it, all boys love toys like this! It flies, it hovers and you can control it by placing your hand or foot under the vectron wave beneath the craft. This Air Hogs flying UFO can sense hard objects under it and hover above them! Pass it from one person to the next or fly solo – the Vectron Wave is an awesome aircraft for RC beginners and enthusiasts alike!